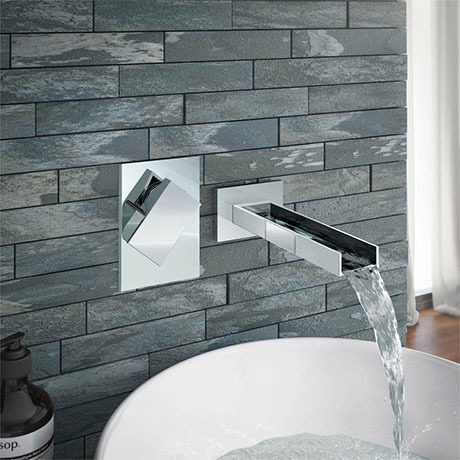 The modern Milan wall mounted waterfall basin open spout with a single lever concealed manual valve, create a stunning design statement in your bathroom with this minimalist tap, creating a beautiful waterfall effect. The modern single lever concealed manual shower valve, characterised by its sleek stylish handle which controls temperature and flow. Simply lift lever to introduce flow, adjust left or right to set temperature.